Ductile Iron, Stainless Steel or Cast Aluminum. Some types come with fixed surface box function as fixator. Bottom of bollards is buried in the floor or ground, generally in concrete. 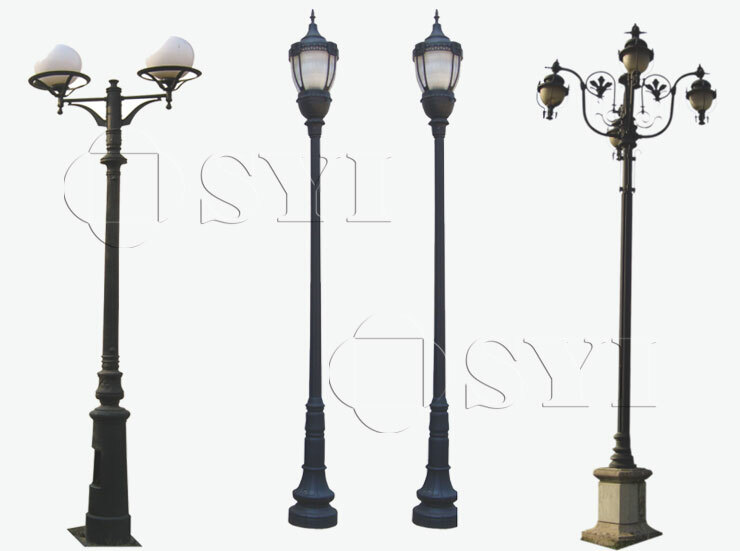 Some types could be fixed by bolts through flange bottom.SYI is also capable to help our customers to design and manfuacture all kinds of bollards according to any of your requirements. SYI has many different types of outdoor and garden benches with cast iron arms, which have proven to be most durable in hostile environments. SYI offers a few types of outdoor and garden benches to prettify your garden, park and street. Our metal garden bench offers the best of both fields in terms of aesthetic beauty and reliable durability. Our iron and wood garden bench can be placed in your garden, patio, or any type of outdoor location for a relaxing experience at any time of day. SYI Cast Iron Litter Bin has been proven to be the most durable in hostile environments. Our bins can be equipped with zinc coated steel liner or an optional plastic moulded liner.